"His work is vital, his task immense"
The Holy See, the episcopal seat of the Pope as Bishop of Rome, includes the central government of the Church, dating back to apostolic times. Today it resides in the sovereign Vatican City State that only came into existence in 1929. The work in the Vatican has increased dramatically in recent years. New departments have been created to deal with the various needs of a rapidly changing modern world. Demands on a limited budget have also arisen and the Friends have been able to assist the Holy Father's work in a number of practical ways. The Friends of the Holy Father, in addition to praying for the Pope's intentions and making the work of the Holy See better known, offer him financial support from our reserves to allow the Pope to initiate projects that are not within the Vatican budget. Membership provides individuals with a simple and direct way of offering the Pope their own personal support, both spiritual and material, for his great task of bringing the message of Christ to all mankind. The Pope's role is crucial, his responsibility immense. 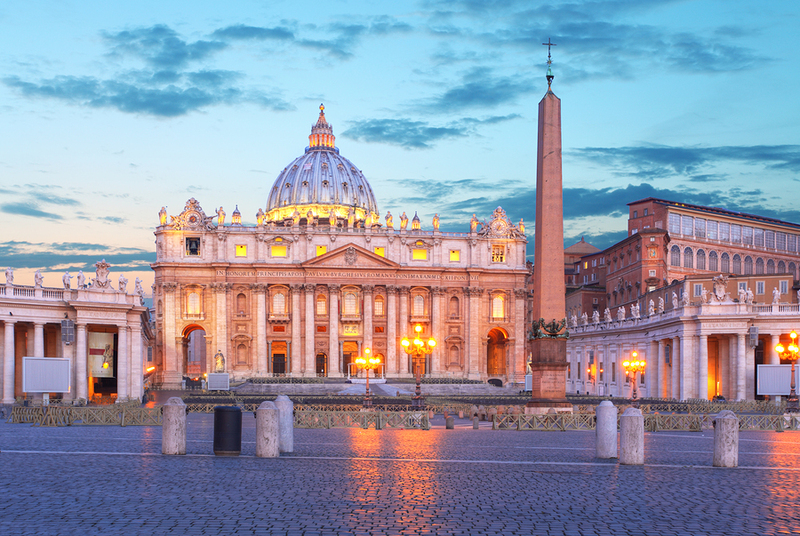 There is a widely held misconception that the Holy See is fabulously rich and thus does not require our support. In fact the reverse is true - resources are just sufficient to enable the Holy Father to govern the Church effectively through his administration, the Holy See, and to run Vatican City State, from which it operates, of which he is Sovereign. It achieves its objective year by year on a very tight budget and is recognized as one of the most cost-effective and efficient bodies in the world. This is the first ever video ever recorded of a Pope. On it the 19th century Pope Leo XIII smiles, waves and blesses. Dated 1896 the video shows Pope Leo XIII in the Vatican and in the last half a recording of him singing the AVE MARIA is heard. Born in 1820 Pope Leo is one of the earliest-born people ever to have been filmed. Pope Leo XIII was one of the most important contributors to the making of the modern Catholic Church; he is remembered for his encyclical Rerum Novarum, the foundation of modern Catholic Social Teaching; he founded the modern Vatican Observatory and heavily promoted the Rosary.